Denis Smirnov is very good at hockey. Based on the fact that he has a scholarship to play in college and rewrote Penn State’s record book during his first year in Hockey Valley, this is fairly obvious. But even by those standards, Smirnov is the kind of hockey player who can suit up anywhere in the world. Don’t take our word for it—just ask the two professional teams that have drafted him over the last three years. Three years later, after completing perhaps the best individual season in Penn State’s (still young) hockey history, Smirnov was driving back to Happy Valley after flying from Russia to New York. He received a FaceTime call from his best friend back home, who let him know that he was just taken by the Colorado Avalanche in the sixth round of the 2017 NHL Entry Draft. Eventually, he got a text from Nittany Lion teammate Erik Autio and a call from the Avalanche, who invited him out to development camp. But despite the fact that he could have the opportunity to achieve that dream, Smirnov has decided to stick with Penn State. Coming back after getting picked by the Avalanche—who will own his rights up until a few months after he graduates college—wasn’t a tough decision, as he sat down with the franchise and decided it was best for his development if he returned to State College. His decision in 2014 was a little more difficult, as Smirnov was playing for the Indiana Ice of the USHL at that time. He was a Penn State commit, and ultimately decided that coming to Happy Valley was the best thing for him as a player. Smirnov’s first year in Hockey Valley came after stints with lower-level teams in Wilkes-Barre, Indianapolis, and Fargo. 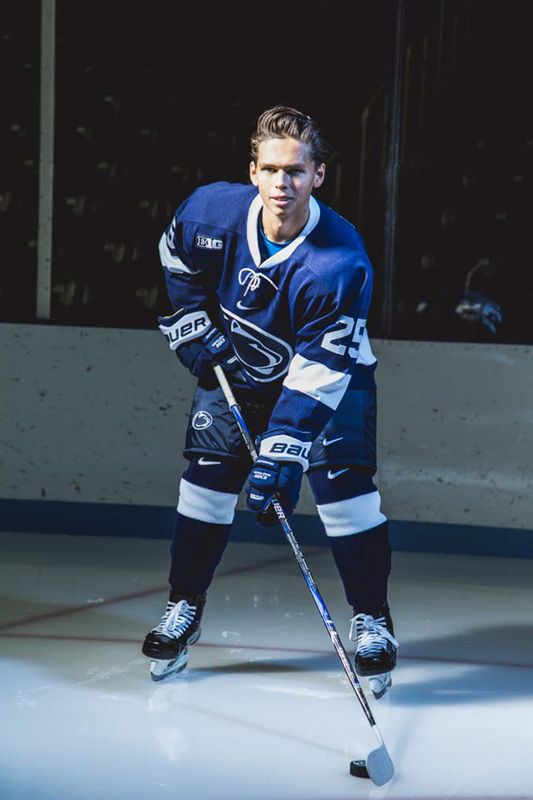 During his freshman campaign in 2016-17, Smirnov led the nation in freshman scoring with 47 points, set program records in points and assists, and set the freshman program record with 19 goals. He also had a 10-game point streak to kick off his career, another program record. This all happened during a historic season for Penn State hockey, in which the Lions won the Big Ten and made the NCAA Tournament for the first time. Smirnov remembers the moment he realized the team could be special—right after a series in South Bend against Notre Dame that featured a tie and a win in overtime—which led to a hot streak and, eventually, the first No. 1 ranking in program history. Smirnov knows the team will get everyone’s best punch this year since they’re the reigning conference champions. He worked towards improving every aspect of his game during the offseason—unsurprisingly, he says he has more fun when the team is winning. Through six games, Penn State is 3-3-0 on the year and Smirnov has accrued four goals and six assists. The Nittany Lions will take the ice for a two-game weekend series against Michigan this week, with the first game taking place at 7 p.m. on Friday night at Pegula. Entry filed under: Athletics, From the Magazine. Tags: Denis Smirnov, Penn State Hockey.